Every once in a while a book is published that is so helpful, so original, and so needed, that it makes one wonder, Why was this book not written before now? 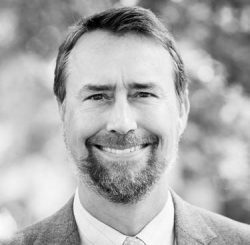 James Anderson, associate professor of theology and philosophy here at RTS Charlotte, has written such a book: What’s Your Worldview? An Interactive Approach to Life’s Big Questions (Crossway, 2o14). This is a wonderful little book for a number of reasons. (1) Target audience. Although this book is certainly for Christians, it has a strong evangelistic thrust to it. It is designed to be given to non-Christians. (2) Methodology: Anderson has written this book from a presuppositional perspective and demonstrates that such an apologetic approach is really practical, understandable, and effective for evangelism (despite perceptions to the contrary!). (3) Creativity. This book is distinctive in terms of how it is structured. Anderson takes the reader through a “Choose Your Own Adventure” type of journey, where the path is chosen by the responses of the reader. There is really nothing else like it. —Hugh Whelchel, Executive Director, The Institute for Faith, Work & Economics; author, How Then Should We Work? Filed Under: Apologetics, Reformed Theology Tagged With: Apologetics, James Anderson, Presuppostionalism, What's Your Worldview? Quite an endorsement there Dr Kruger. I love apologetics and now might try to find a way to get this into the rotation. Problem is Ive already got literally6-8 books I am in the middle of, not counting the sem work which is…a lot. Anyway thanks for the heads up on this one. Dr. Kruger, I have read in a comment on the Euangelion blog that we have more copies of The Shepherd of Hermas from ancient times then of the canonical gospels, if true, what do you think it means for the canon. I would be very thankful if you would answer my question even though it does not pertain to the article it is commenting on. Thanks, Aric. What you have heard is misleading, depending on what the original statement intended to say. We have more ancient copies of the canonical gospels than almost any text in antiquity. What the original statement probably meant is that we have many copies of the Shepherd in the first couple of centuries, even more than the Gospel of Mark. And that is true. But, this does not necessarily mean anything definitive for the canon. Some books, like the Shepherd, were very popular with early Christians even though they did not, on the whole, regard it as Scripture. And other books were regarded as Scripture, even though they were not always the most popular (Mark was the least used Gospel, but never really doubted as Scripture). We even do this in the modern day. A Purpose Driven Life is much more popular than the book of 2 Peter, but very few would regard the former as Scripture on this basis (I hope!). So, numerical popularity is an important consideration, but is not an absolute standard for what Christians regarded as Scripture. As a whole, with minor exceptions aside, the canonical books far outpace apocryphal ones in terms of early copies. I cover this in my book Canon Revisited in much more detail. I would like to ask if anyone regarded The Shepherd as scripture, and why it would be more popular than the gospels in the first few centuries. Was there a big controversy about The Shepherd? 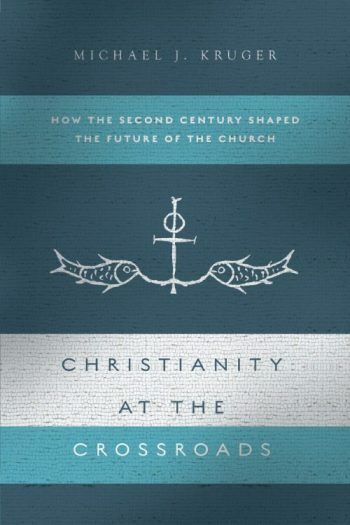 I did read some of your book, it was very helpful, but like many books from a more conservative perspective (like Andreas Kostenberger’s The Cradle, the Cross, and the Crown) It seems to leave out some rich details about early Christianity despite it’s high quality. this is a difficulty especially when trying to use these books as a contrast to works by Robert M Price and other skeptics. I have found a great deal of valuable information in your and Kostenberger’s works. and I thank you for writing them. I don’t want to waste your time with frivolous comments, but maybe you could author a reply to Robert Price or other skeptics. I would be especially appreciative of something to that effect. And you are very knowledgeable on these things. I thank you once again for replying to my first comment.